Breakfast Oats. For years, I loved to eat cereal for breakfast. Hot cereals such as Cream of Wheat or old-fashioned rolled oats were my favorites. Add some brown sugar, raisins, chopped pecans, and cow’s milk and all was well. And I loved a big bowl of bran flakes with sliced banana and cow’s milk. And Raisin Bran — another favorite. I must say though, that cereal breakfasts didn’t love me and I had trouble figuring out why. 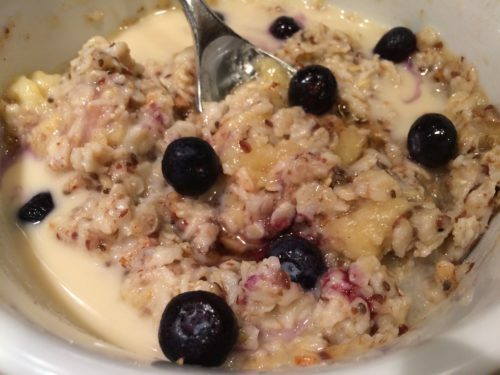 For a quick morning weekday breakfast, organic instant oatmeal in single-serve packets eventually took the place of my other favorite fruit-flavored yogurt and Grape Nuts breakfasts. 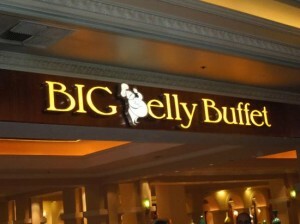 For quite a while, I had stomach issues a few hours after eating breakfast. I traced it back to my morning cereal. That’s the only food I was eating consistently every day. But was it the cereal itself or was it something else? Definitely something else. Yes, as you may have guessed, it was the cow’s milk that was causing my stomach aches! 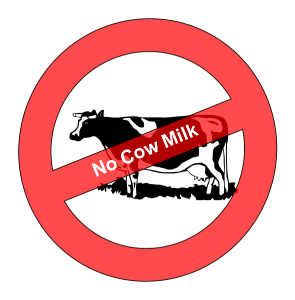 Even though I was buying only organic cow’s milk, it was still upsetting my stomach when I ate/drank it. So now I use a plant-based milk such as oat milk or almond milk on my cereal instead. My stomach issues seem to have gone away when I replaced the cow’s milk with a plant-based milk. And now I can enjoy my favorite breakfast again! When I’m making my Breakfast Oats, I cook the oats for about 5 minutes on medium low heat until the water has mostly evaporated. Then I let the cooked oatmeal sit, covered, on the stove for 5 minutes. 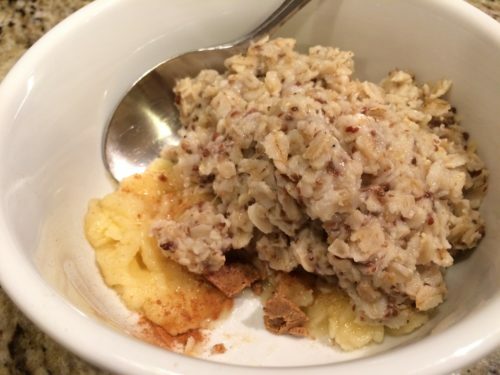 That allows a nice chewy “bite” to the oatmeal and it’s not soggy at all. My husband likes his Breakfast Oats simply with honey and slivered toasted almonds. I like mine with some mashed banana, blueberries, and almond butter or chopped pecans. I like to use oat or almond milk as well. Now, how exactly to make my Breakfast Oats? 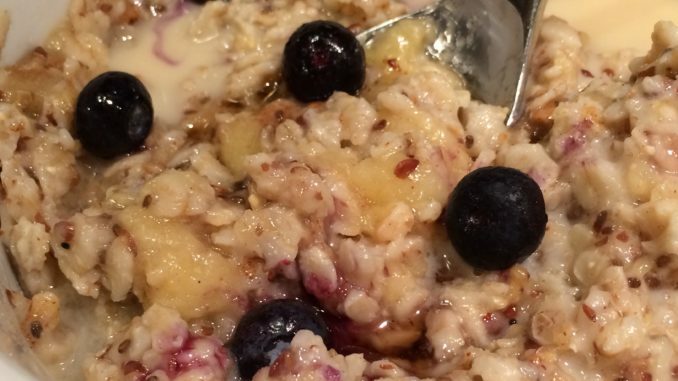 These are cooked oats so you do have to put in a few minutes of your own time in the morning. You COULD cook them the night before and heat them in the microwave in the morning. I like to eat warm oatmeal in the morning. 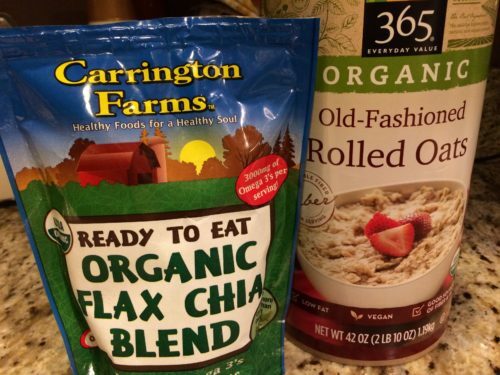 I use Whole Foods 365 brand organic oats and Carrington Farms organic flax chia blend. Boil a cup of water in a pan on the stove. When the water comes to a boil, add half a cup of oats and one tablespoon of flax chia blend. 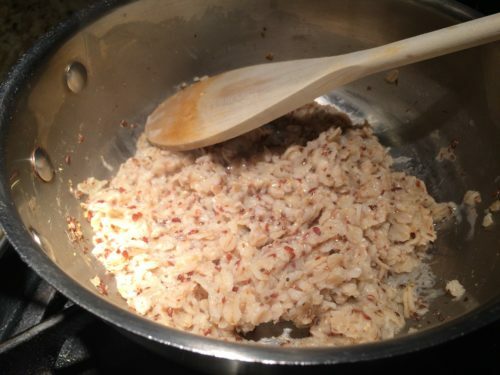 Cook the oatmeal mixture for at least 5 minutes or until it thickens. When most of the liquid has evaporated, remove the pan from the heat and cover with a lid. Let sit for 5 minutes. While the covered oat mixture is resting, mash half a banana into a cereal bowl. Add a tablespoon or two of almond butter and a dash of cinnamon. 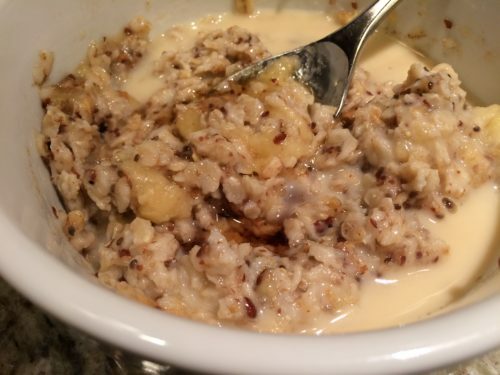 After the covered cooked oatmeal has rested for five minutes, add it to the banana mixture. Add some plant-based milk such as oat or almond milk and a splash of maple syrup. 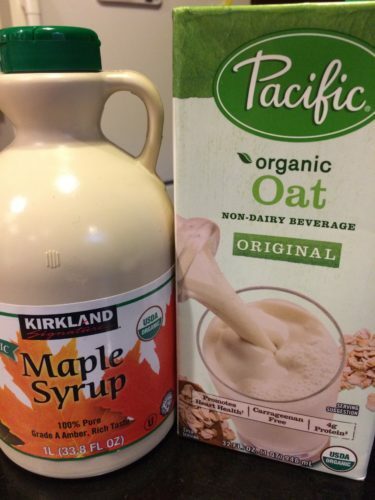 We love Costco’s Kirkland Organic Maple Syrup and Pacific’s Organic Oat Milk. Top with some fresh blueberries, and serve! 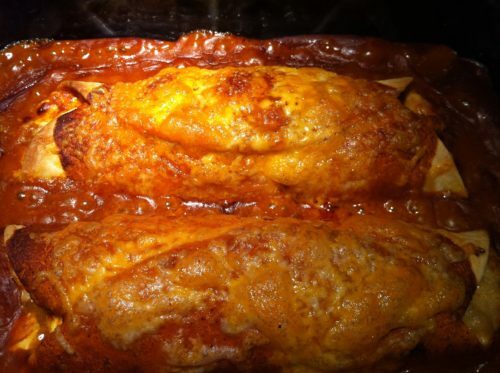 This recipe is dedicated to two of my vegan friends, Pat and Robin! Now for a sweeter option for breakfast…try my Homemade Granola. It contains oil and a lot more sugar than my Breakfast Oats — but it’s crunchy and good — in moderation. I have to remind my guests that my granola packs a lot of calories so be sure to go easy on your portions. 1. In a saucepan, heat the water over high heat until boiling. 2. Add the oats and flax chia mixture to the boiling water and stir. 3. Lower the heat to medium low and simmer for 5 minutes or until the water has mostly evaporated, stirring occasionally. If you like runnier oatmeal, add additional water if the oatmeal becomes too dry for your taste. 4. Remove the pan from the heat and cover it. Let sit for another 3 – 5 minutes. 5. Meanwhile, mash the banana in a cereal bowl. 6. 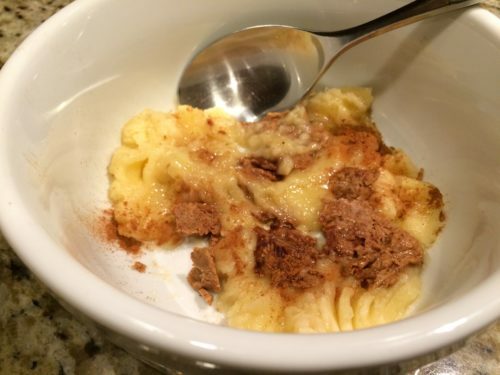 Sprinkle cinnamon over the mashed banana. 7. Add the almond butter and stir. 8. 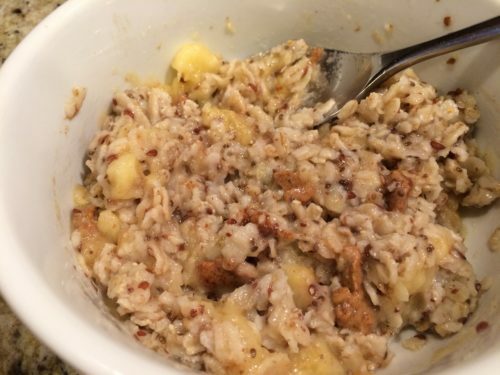 Add the cooked oatmeal mixture to the banana mixture. 9. 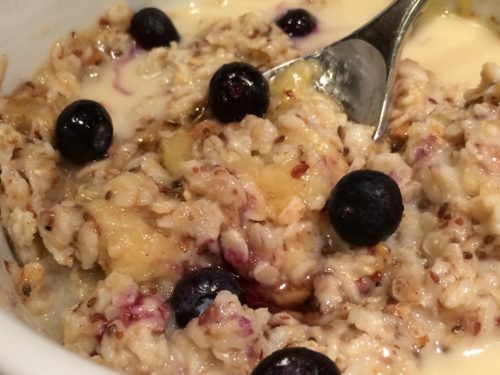 Pour some plant-based milk over the oatmeal and add a splash of maple syrup. 10. Garnish with the blueberries and serve! Makes one Breakfast Oats serving. Offer with a juice glass sized portion of my Nutty Strawberry Banana Smoothie or my Cucumber Peach Mint Smoothie. Variations: Use gluten-free oats if you have a gluten sensitivity. Mix it up with different nuts, nut butters, seed butters, fruits, and spices. Try diced apples or peaches or pears, halved grapes, raisins, sliced strawberries, raspberries, orange sections, mango slices, etc. Instead of almond butter, try peanut butter, sunflower seed butter, cashew butter, etc. Add some chopped walnuts, almonds, peanuts, hazelnuts, cashews, pistachios or sunflower seeds. My favorite breakfast spice is cinnamon although you could use grated nutmeg, allspice, pumpkin pie spice, cardamom, or even some vanilla extract. Try some shredded coconut or a drizzle of dark chocolate syrup as a topping.